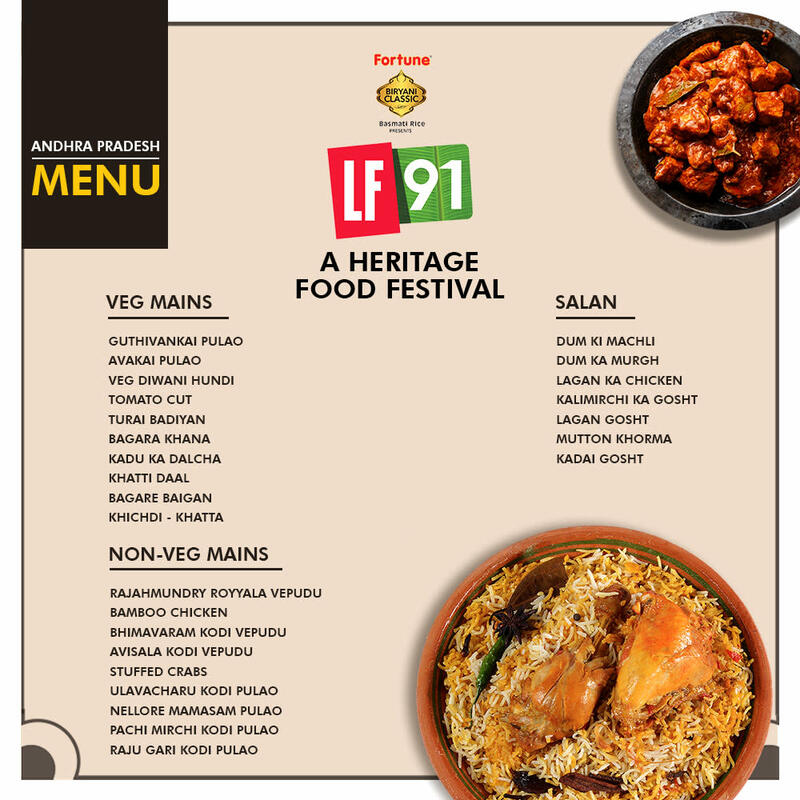 LF91 is our endeavor at bringing regional heritage food to the urban heartlands. Millions of Indians travel and migrate for work to urban cities in their dream of making it large. What they carry with them though is the nostalgia and emotion of food cooked in their homeland. 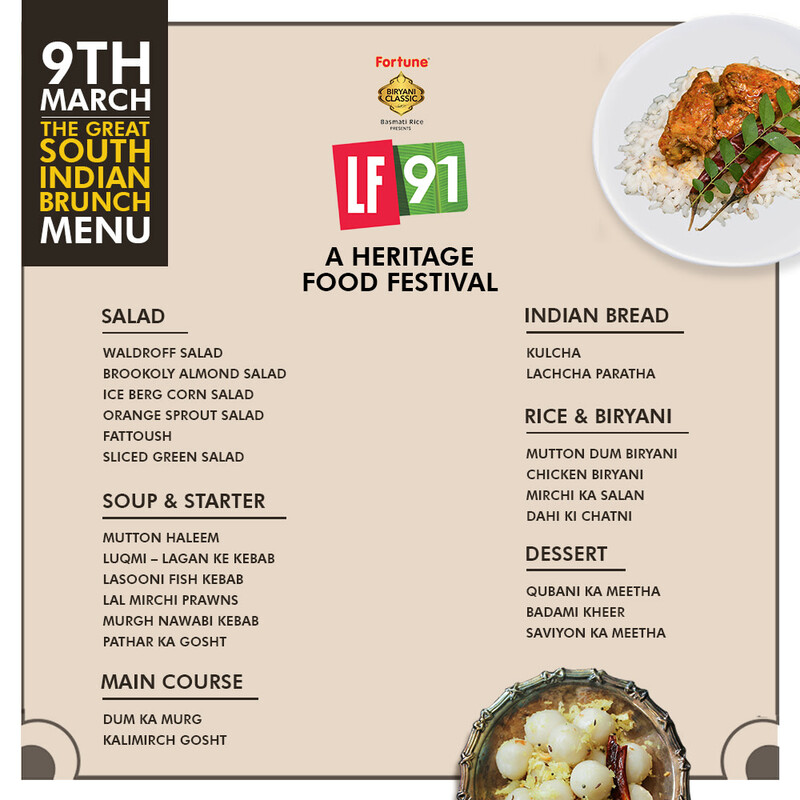 LF91 celebrates the emotion of every Indian by bringing regional heritage food from their homelands to their cities. 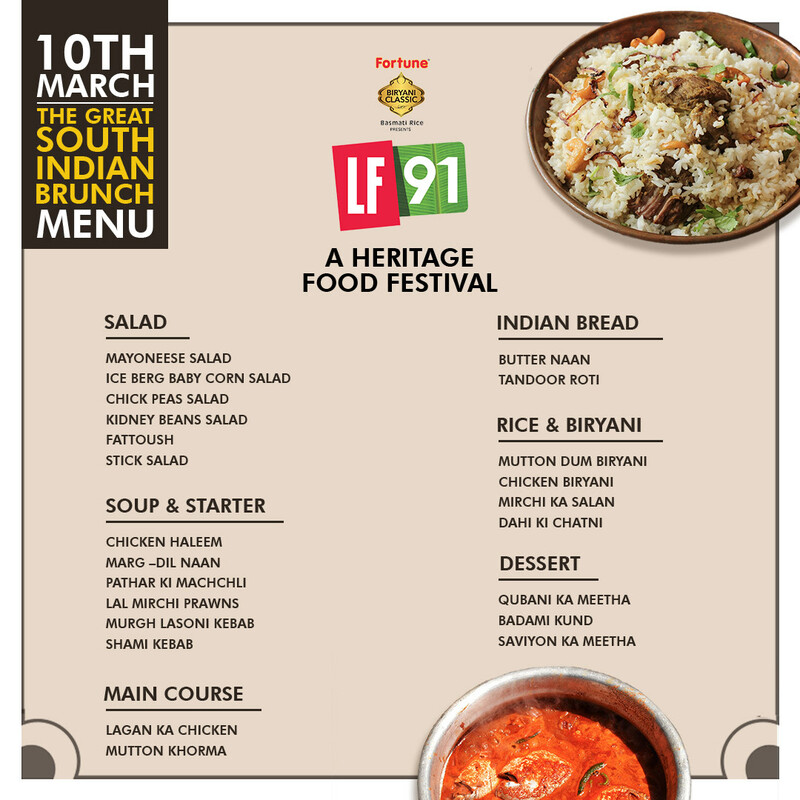 In its first edition, LF91 brings the South of India to Mumbai. 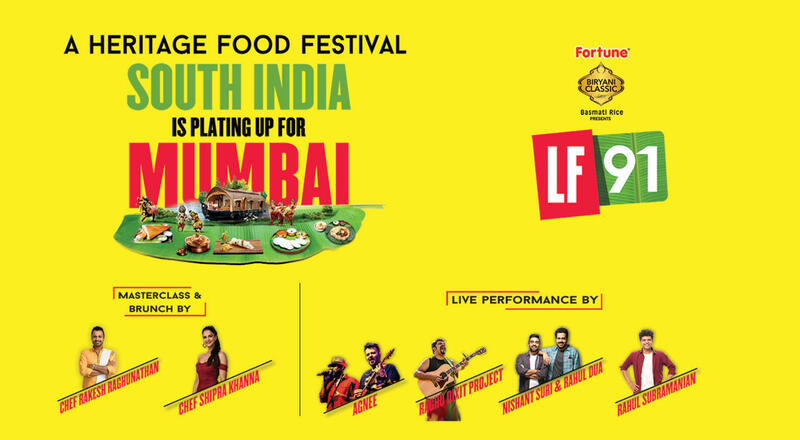 Hundreds of authentic dishes from the deep corners of Andhra Pradesh, Kerala, Karnataka and Tamil Nadu will make their way to the maximum city of Mumbai, a careful list curated by our very own celebrity chefs from Living Foodz , prepared by outlets, street food specialists and generations of authentic South Indian destinations will be plated in 4 state zones at the Turf Club in Mumbai. 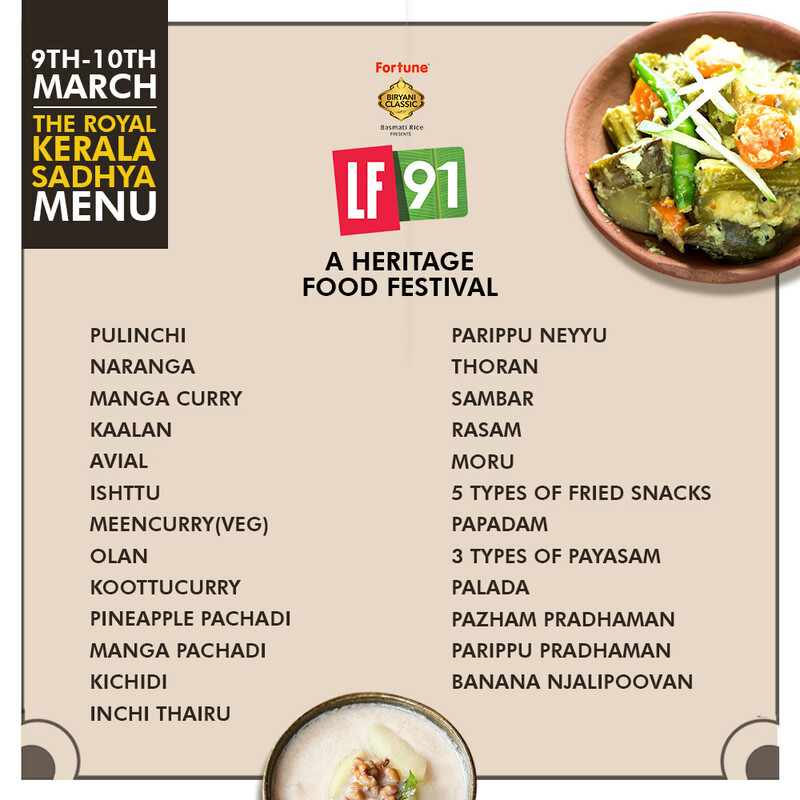 While you choose from a multitude of lip smacking choices in these 4 zones, LF91 for the first time in a food festival will attempt a limited heritage brunch and a community long table for the Kerala Sadhya. On your way out, don’t forget to pick your spices, pickles, papadams for your homes at the Desi Bazaar. 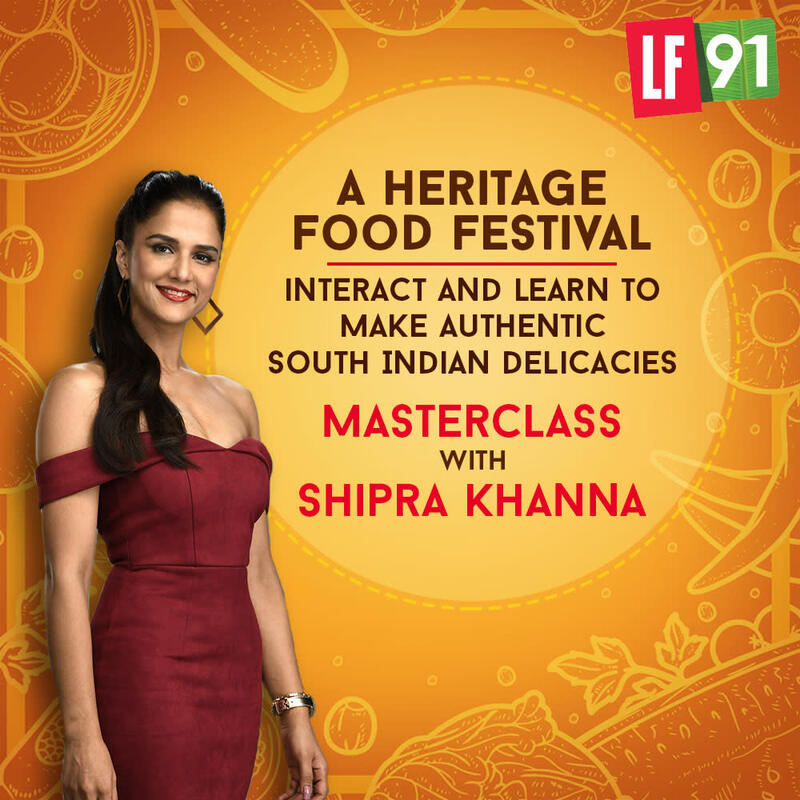 Handpicked dishes from the 4 southern states to take your palate through an exciting journey of genuine South Indian cuisines. Indulge in the heritage of South India with authentic decor and ambiance, soothing music, cold beverages and let the paradigm shift south on your senses. What’s more, a celebrity chef from our very own Living Foodz will be hosting this brunch for you. From gods own country we bring you gods crafted masterpiece! 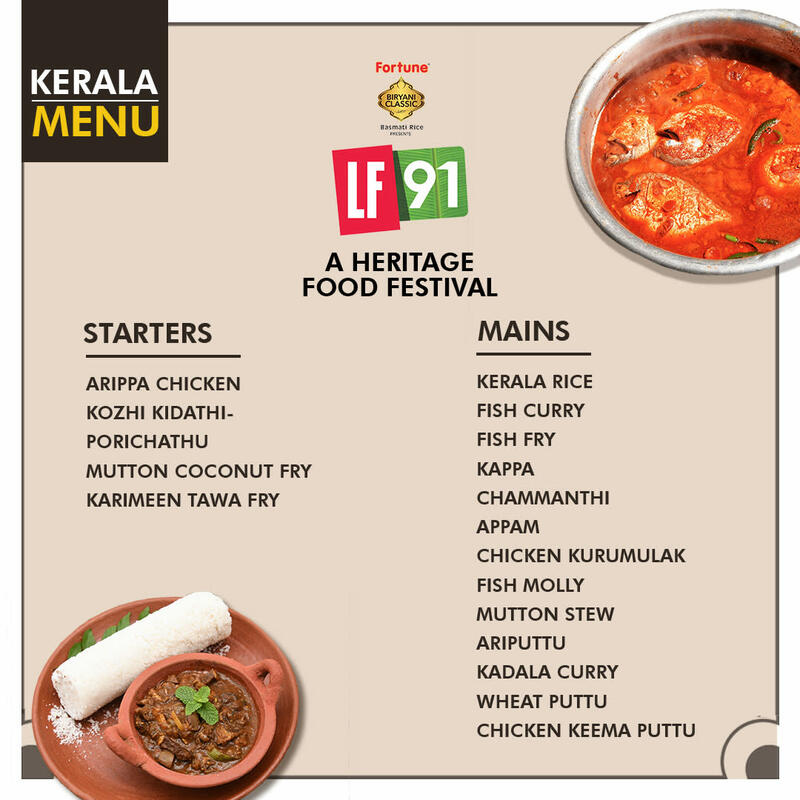 A feast straight out of Kerala, prepared by third generation chefs. Their culinary art has stood the test of time and lit a million palates. 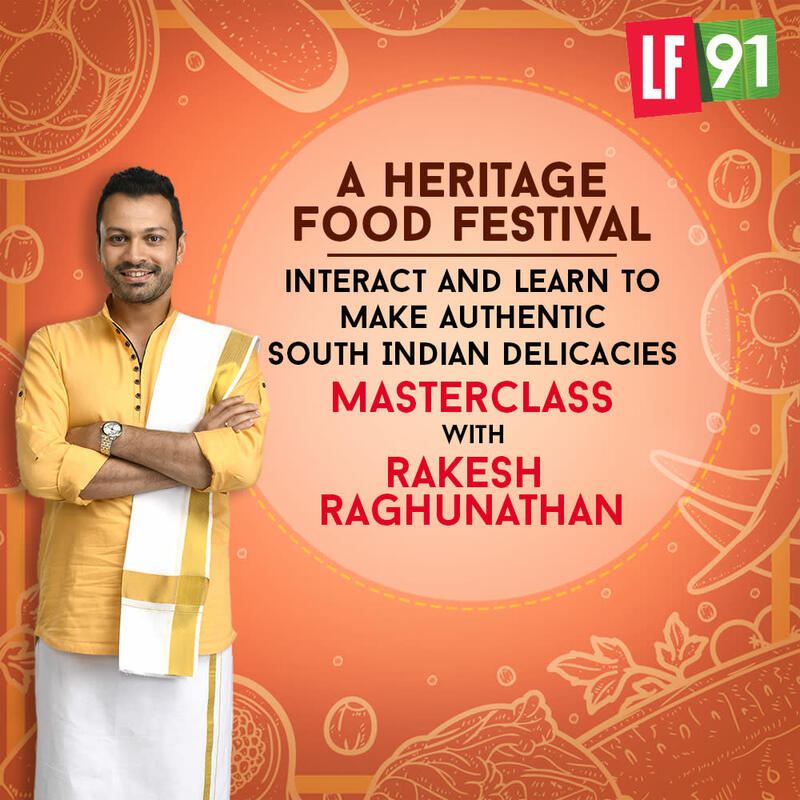 Indulge in the most celebrated meal in the South of India. After all, a family that eats together stays together! 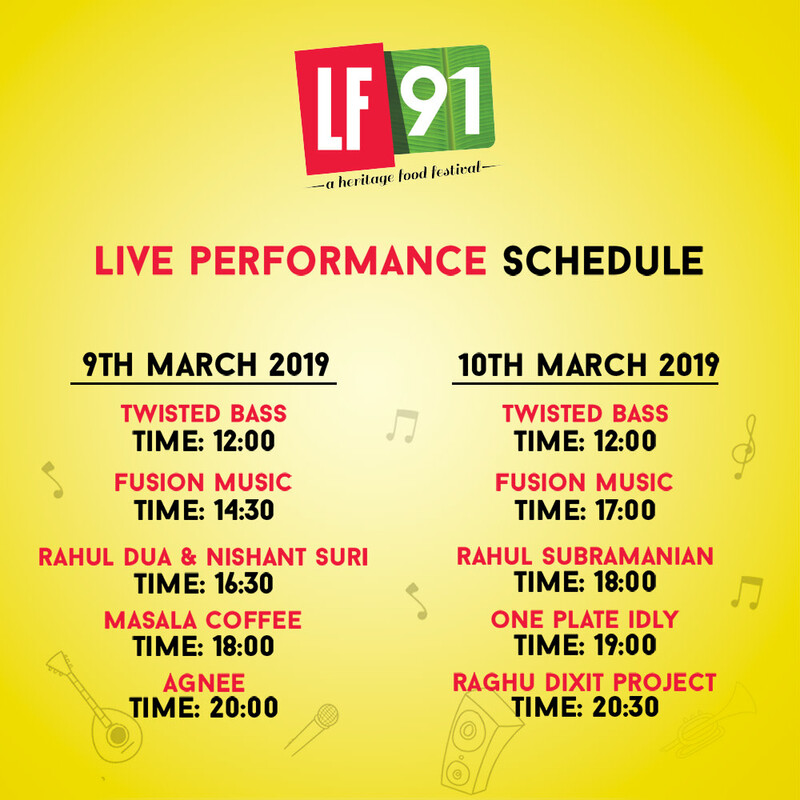 LF91 will host an exclusive Kids Zone, while free play will be our core motive, don’t let them miss out on the little chef experiences and the tour of the spice market. Spices from the south of India, pickles, handicrafts, papadams, filter coffee and more. 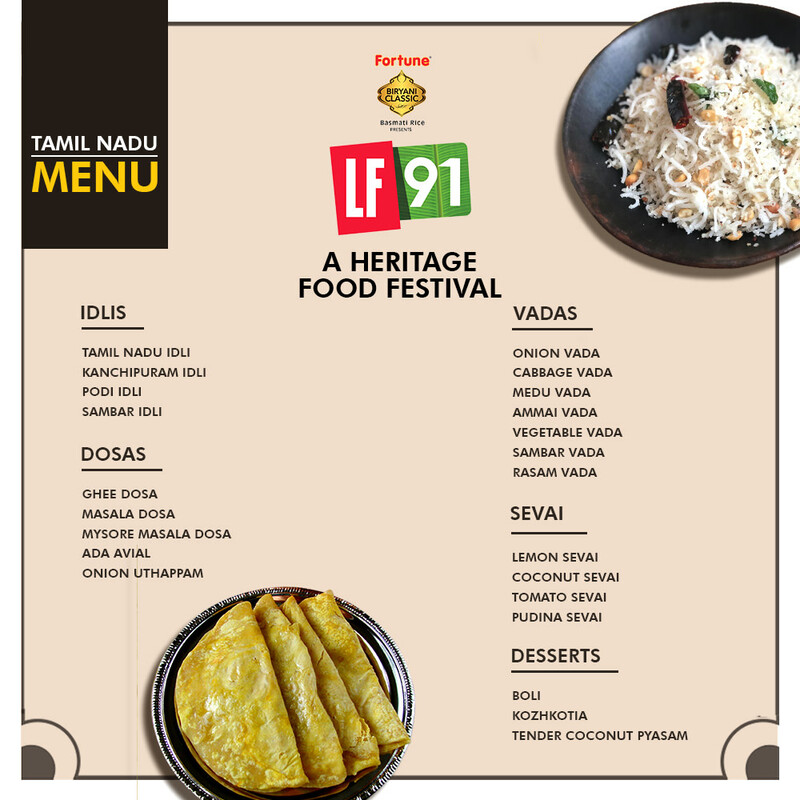 Take the taste of South India back to your homes. 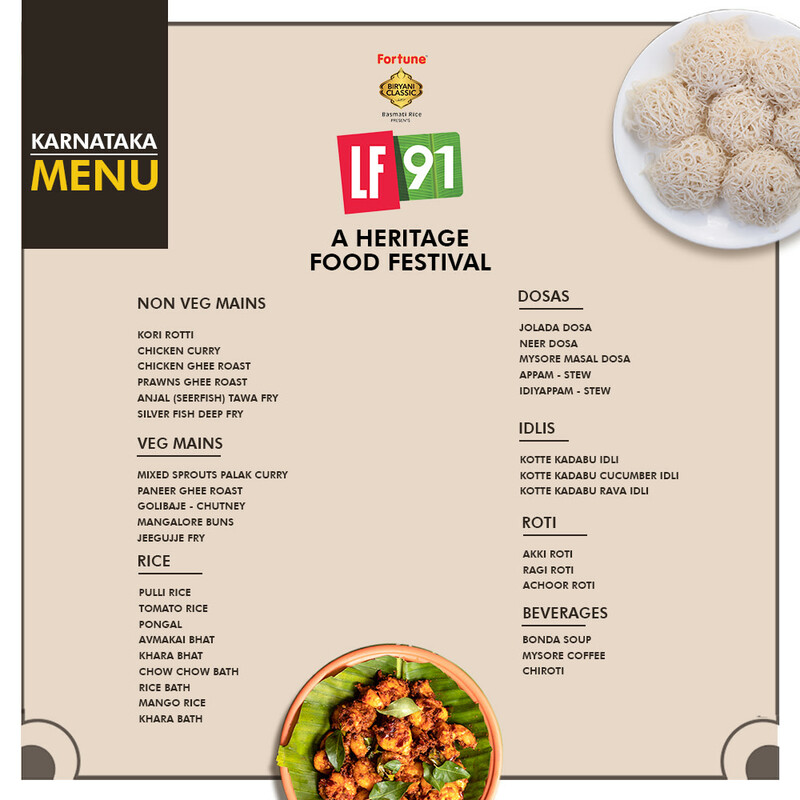 LF91 – Heritage foodstalls from the South of India - The Great South Indian Brunch - crafted beverages - The Royal Kerala Sadhya - The South Indian Desi Bazaar.